Kevin and JoAnne Dowdy have been working with Boulder Opal since 1983. Their adventure started when they met an opal miner in the tiny Outback town of Quilpie, Queensland. After seeing the beautiful gems the miner displayed, Kevin and JoAnne both caught what is commonly referred to as "Opal Fever." It wasn't long before they set up shop as opal cutters. In order to supplement their supply of rough opal, mining soon followed. 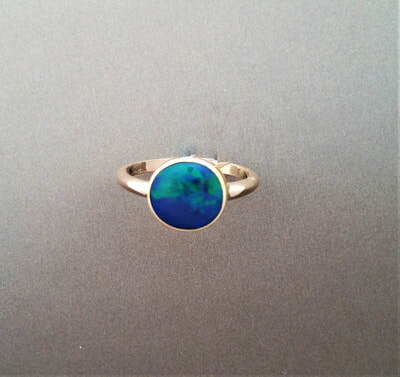 Now living in Tucson, AZ, they have expanded their business to include Boulder Opal jewelry. JoAnne's first jewelry class was back in college. 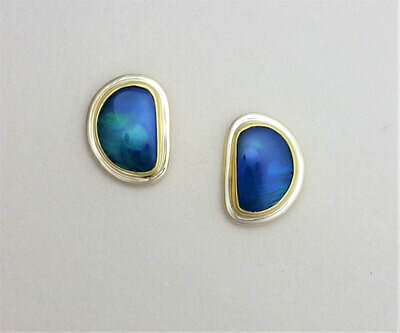 What started as a hobby has grown into a thriving business, making one of a kind 18kt Boulder Opal jewelry. Boulder Opal, found only in Queensland, Australia, formed millions of years ago, when liquid silica filled voids or crevices in ironstone boulders. 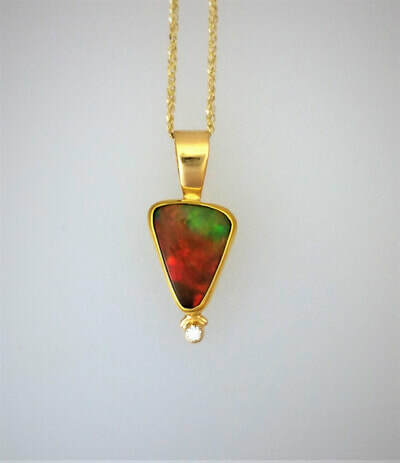 When cutting this type of opal, the natural rock is removed from one side of the opal, exposing the face of the stone. The natural stone is left on the back of the opal to give the opal its strength and boulder colors. Boulder Opal is a unique gem, found in every color of the rainbow. It is the most durable of all opals. This jewelry requires no special care, can be worn for all occasions, and may be passed on from generation to generation.